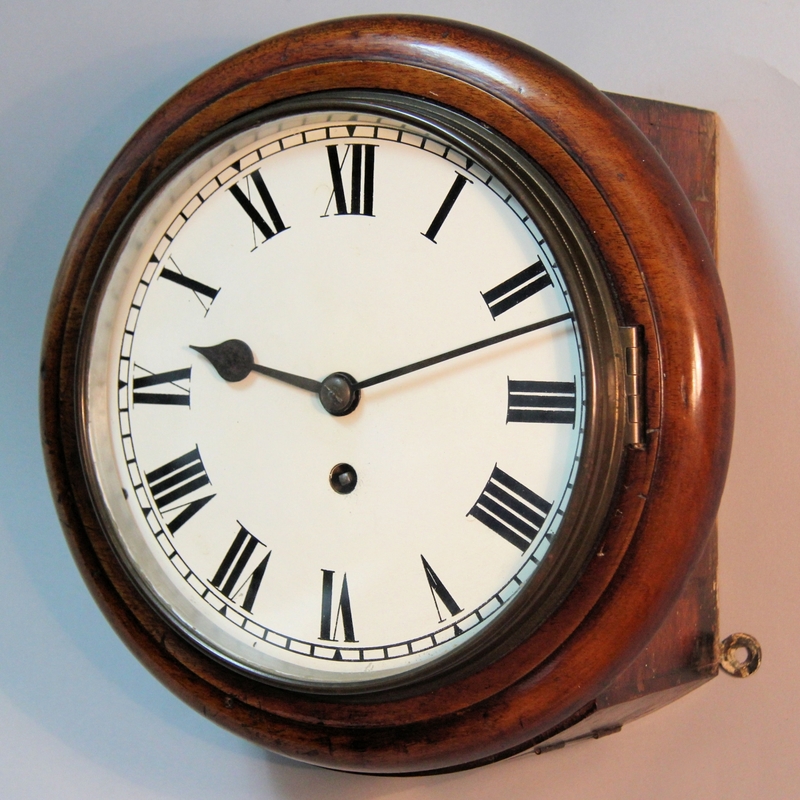 Small english dial, fusee wall clock with an 8 inch dial and mahogany case. Circa early 1900's. 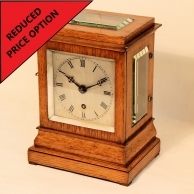 An extremely original dial clock that has retained its original lacquer to the movement. 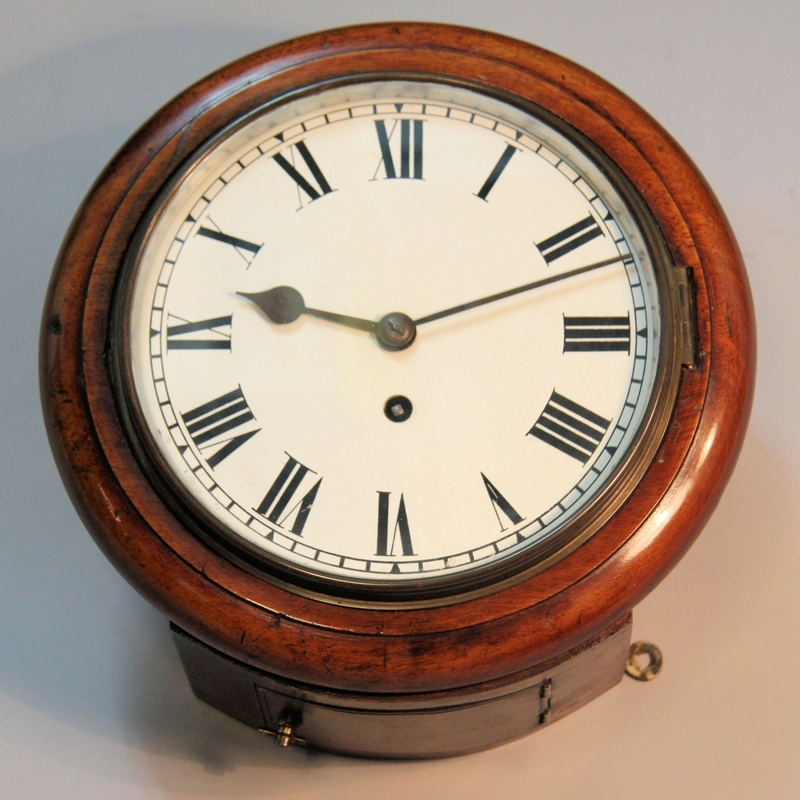 The eight day duration, chain fusee movement with Anchor Recoil escapement and screwed pillars. 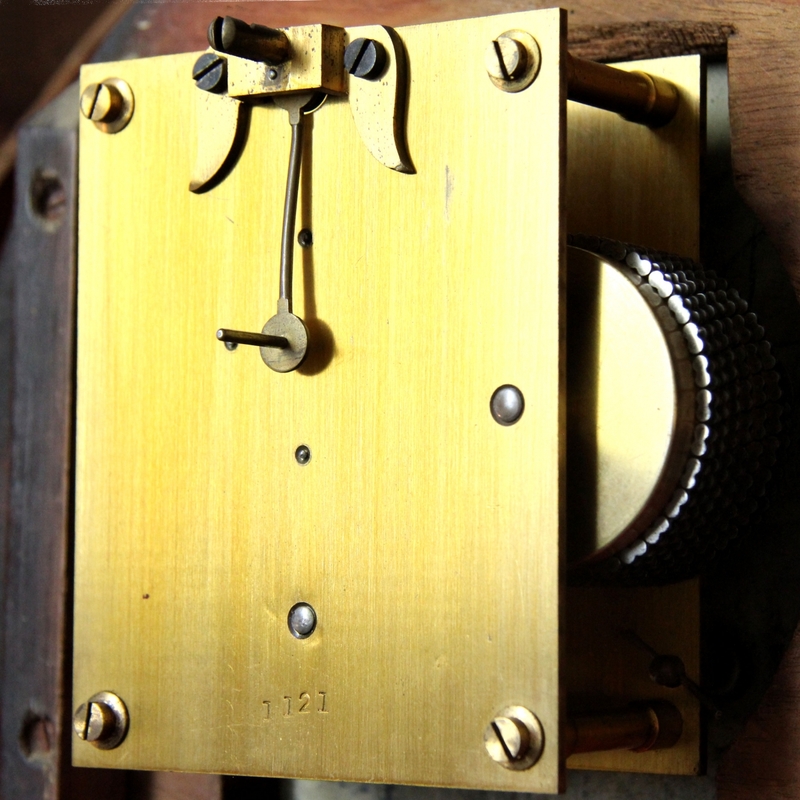 The backplate bearing the serial number "1121" and retaining almost all of its original gilt lacquer in sound condition. 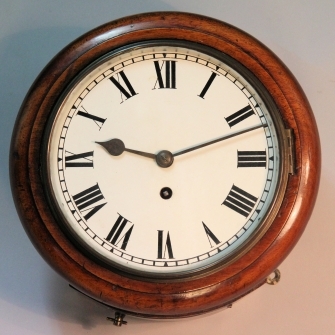 Behind a white painted, 8" diameter iron dial with black Roman numerals, minute ring and steel 'spade' hands. 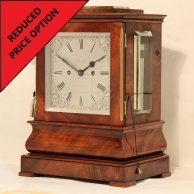 The glazed brass bezel has mellowed to a bronze colour and has a silver sight ring. 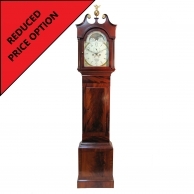 In a mahogany case of good patina and colour with a smaller than usual dial surround. Also having side access door and curved regulation door to the curved bottom. 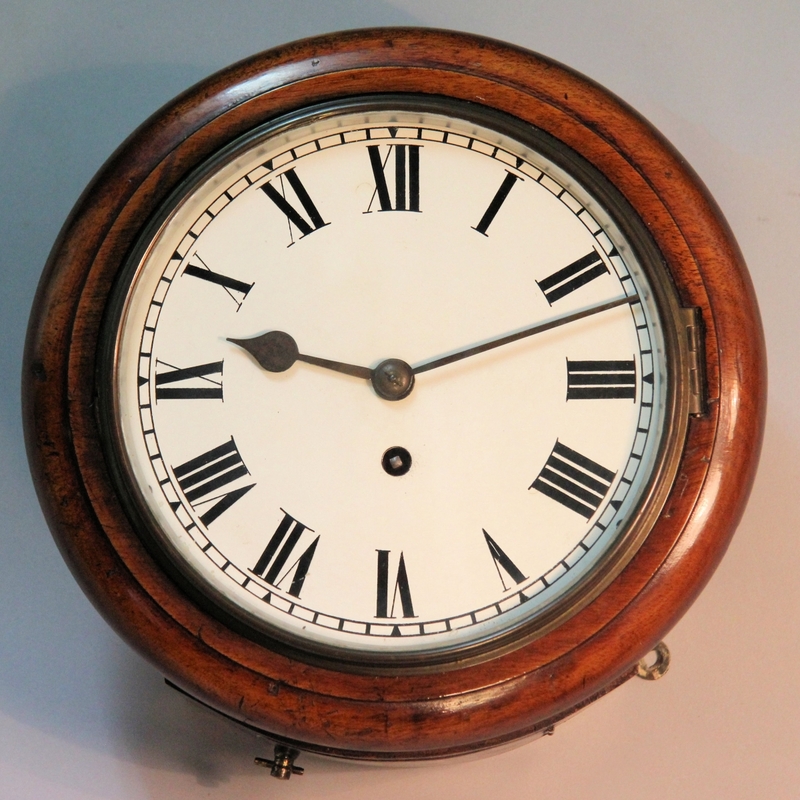 * This whole clock including the pendulum is original and in an 'untouched' condition, the colour and patina is lovely and the dial is in perfect condition. 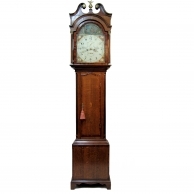 Care when cleaning will be taken to ensure that cosmetically, it retains its aged appearance. 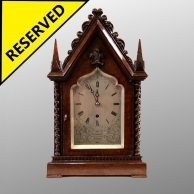 This is a rare opportunity to obtain an antique clock in totally original and what is often termed as "sleepy" condition. Dimensions: 10 1/2" wide x 6" deep.